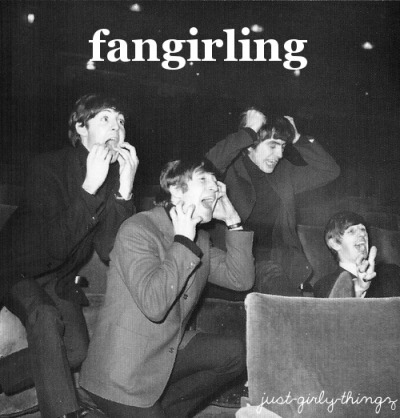 Any pictures of any of the Beatles or their entourage looking or acting girly. I must admit they did a good job impersonating their fans! George is still drop-dead gorgeous... why am I not surprised? OMG. 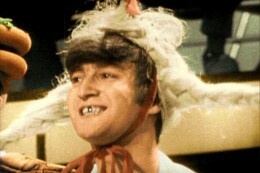 I know someone who looks like that John. We went to high school together. George looks the most girl out of the four in that pic imo. The Paul one reminds me of Elisabeth Harnois. But I find I can't stop looking at the John one. ^ Agreed. George just had really good features, period. His appearance stayed on this side of masculine, but there are times and angles when I thought he was beautiful enough to make a lovely female. 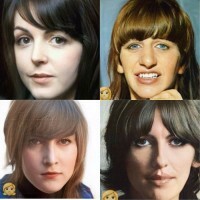 The one of Paul looks like Pat Benetar. ^^^ 'Love Is A Battlefield' is one of my favourite karaoke songs. I can do a smashing version of it, and everyone loves shouting "We are young, heartache to heartacheeeeeeeeeeeee". 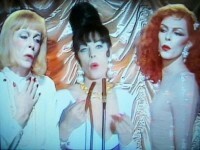 If the BB Night Out ever happens I want a backing band of at least 4 Biblers. I'd have to disagree with Beatle Bug; if George makes a convincing girl, it's a girl who has a masculine aura. I don't think there's any question that Paul is the girliest of the four. ^I don't think you quite read my post, Funny Pineapple: I meant purely in regards to facial features. There's no doubt that George was quite masculine, but his features were also very aesthetically beautiful, and his face could have made a lovely female face without much alteration, as shown in the weird pic above -- BUT I wouldn't say he was as effeminate-looking as Paul. ^ George looks really weird and Paul looks exactly like my aunt (whom I've often thought looked a bit Paulish to begin with). 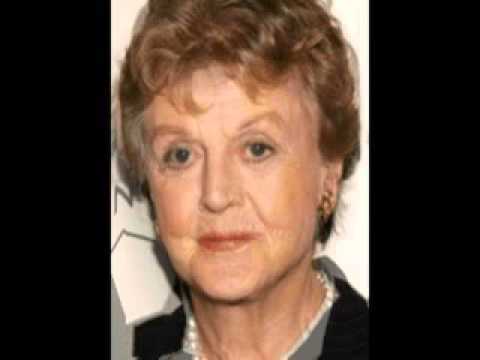 That's my cue to post (or re-post if I already did it long ago) Paul in "Murder She Wrote"
"McCartney struggles with his inner Lansbury"